Even though we’ve all heard the term “bail” in movies, TV shows, books, and even games such as Monopoly, bail is a bit more complicated than these pop culture references would have us believe. For example, some people think that everyone arrested has the chance to post bail. That’s not true. Bail is not a right, but a privilege that a judge grants to some, but not all, defendants. Those who are accused of serious crimes such as murder or sexual assault, for example, might not receive bail while those accused of such lower-level crimes like petty theft or breaking and entering would most likely receive the option to bail out of jail. The accused’s criminal record will also affect whether or not they are awarded bail, and if so, How much is bail in Brampton Canada will be. The worse the criminal record and/or the crime, the higher the bail will be. How much of a flight risk the defendant is also has a great impact on bail. Remember, bail is an assurance to the court that the person awarded bail will return for any and all court dates. Having to pay the court money to leave jail is an incentive for that person to show up to court given that the money paid for bail will be forfeited should a court date be missed. While on bail, there are restrictions on the accused’s activities. For example, all laws must be obeyed, now more than ever. If a person is on bail and commits a crime, the repercussions are more serious than for someone who is not already engaged in legal proceedings. The judge, though, is able to make special conditions for bail, as well. For example, if someone is accused of domestic violence, a condition of release might be that they aren’t allowed to contact the person they are accused of harming. If someone is accused of selling drugs, they might be told that they are not supposed to possess or take drugs while on bail. Travel restrictions may also apply, and typically not being able to leave the state the accused lives in a condition of release. If out of jail on bail, it is better to be safe than sorry. When in doubt if an activity breaks the conditions of bail, check with a criminal lawyer milton or the court. Violating a court order, again, is not a wise move while released from jail on bail. The very least worry is losing the bail money paid to be released. The biggest worry would be facing another arrest for violating a court order. *** Whether you use a credit card or take out a loan to pay the bail, fee, and/or other related costs. If you decide to use an criminal lawyer kitchener, you can expect to pay a non-refundable fee that varies from 10% to 15% of the face value of the bail bond. This fee covers the services in securing your bail bond and providing oversight of the defendant throughout the judicial process. The exact percentage of the fee varies based on where you live since each state sets the fee that may charge for their services. Other charges that are typically added to your bail bond’s cost are a non-refundable sheriff’s fee, which can cost about $10, and, if you use a bail bond, a non-refundable fee charged by the insurance company that underwrites your bond through your bail bond agent. Both charges are in addition to the fee for services rendered. Those who choose to fund their defendant’s bail in some other manner than by using or to pay it directly, will not be subject to the insurance fee or the fee but will still be required to pay the sheriff’s fee, in addition to posting the full amount of the bail in one of the forms allowed by law and accepted by the court or jail in the jurisdiction in which the defendant is detained. If the defendant fails to show up for court, you risk losing the entire amount of the bail money or collateral you’ve deposited with the court or the to secure your bond, which would ultimately add a great deal to the typical bail bond’s cost. Often forfeiture can be avoided if your agent is able to locate and work with the defendant to ensure compliance. 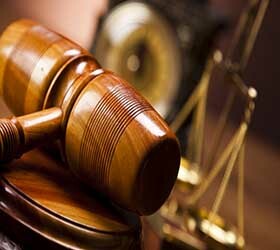 If the defendant disappears and must be apprehended by the bail bondsman, you will be responsible for the costs incurred by the bondsman in locating and bringing the defendant back to the court’s custody. Browse Here for getting more information related to Bail Hearing Canada.